Once getting engaged, it can often be very overwhelming when you start to plan your big day. There are so many different aspects that you don’t realise until you start to do your research. Picking the right suppliers is a very important thing to do - it is a good idea to start by reading reviews or talking to other people and who they have used to provide everything they needed for their wedding day. I am very careful about who I recommend to my clients or anyone asking for advice. Over the past few years I have had a chance to work with some amazing wedding vendors so I would love to share one of my favourite suppliers with you. Just across the road from my studio in Larne is an amazing florist called A Flower Lady, owned by a lady called Iris. Iris is the mother to four children and was born and bred in Larne. As her parents are in the Hotel business, Iris worked in the catering industry before moving into Floristry. Around fifteen or so years ago, Iris completed a three year BTEC Diploma in Floristry and has been working in the industry ever since. As her parents are business owners as well, it seemed natural for Iris to do the same. Iris loves being in the wedding industry because it is an enjoyable experience to discuss their wedding day with her customers and it’s also a pleasure to be apart of their day. It’s lovely to have an insight into their day and to assure them that everything will be kept confidential. Iris has an amazing team of people who work in the shop with her. They are a great help, especially at busy times like Christmas or Mother’s Day. Choosing your wedding flowers can be very daunting, especially if you aren’t sure what you’re looking for. It can often be easier to arrange your flowers if you have a theme or a colour scheme already picked. A lot of the time your flowers will be matched in with your bridesmaids dresses. Iris’ favourite flowers to include in a wedding bouquet would be a Freesia. This is mainly because of the beautiful perfume as it’s a soft scented flower. The white Freesia would be her favourite. In A Flower Lady, they like to use a lot of seasonal colours at peak times which can tie in very well. It’s amazing to see the different array of colours in the shop at different times of the year. Choosing the style of your bouquet can often be hard to decide on. Most brides tend to go with the typical posy style bouquet, mainly because it’s easier to carry than a teardrop bouquet which were very popular many years ago. The size of your bouquet really depends a lot on your budget and you. ie. A very large bouquet might not suit a petite person. A lot of people ask about different packages for their wedding flowers. 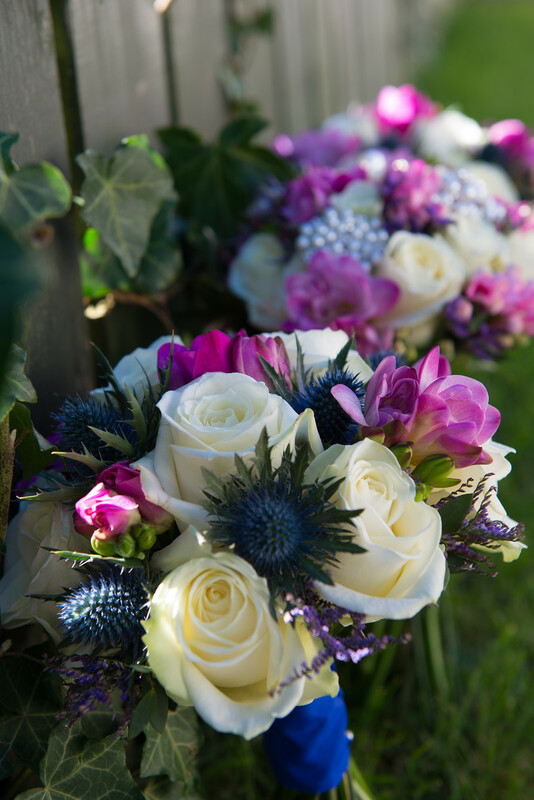 The price of flowers changes very regularly so wedding bouquet’s are individually priced dependant on the size and what type of flowers have been used. If anyone is looking for a florist for their wedding day, I would highly recommend A Flower Lady. Iris and her team are amazing at what they do and you are sure to be looked after.